Stansbury High School marching band members practice on the school’s football field before school in 2009. Band boosters and parents would like to see a county noise ordinance revised to allow for 6 a.m. practices. A two-year-old compromise that settled an acrimonious dispute over early morning band practice is not working, according to supporters of the Stansbury High School marching band. Band supporters want Tooele County to amend its noise and light ordinances to allow the band to practice on the SHS football field as early as 6 a.m. The band needs the early morning practice for 10-week period from the start of school in August through the beginning of November, according Monica Parks, an Overlake resident and the parent of a SHS band member. Parks has requested the noise ordinance requiring noise levels to remain below 55 decibels from 10 p.m. until 7 p.m. be revised to exempt noise from school band practice after 6 a.m. Parks also seeks similar changes to the county’s light ordinance to allow the lights on the football field to be turned on before dawn for band practices. Parks’ request was heard by the Tooele County Planning Commission in a public hearing on Feb. 1. The hearing drew a crowd of over 100 people and lasted nearly three hours, with testimony from people that both opposed and favored the requested change. Parks noted in her request that Tooele and Grantsville high schools have a long tradition of 6 a.m. marching band practices. 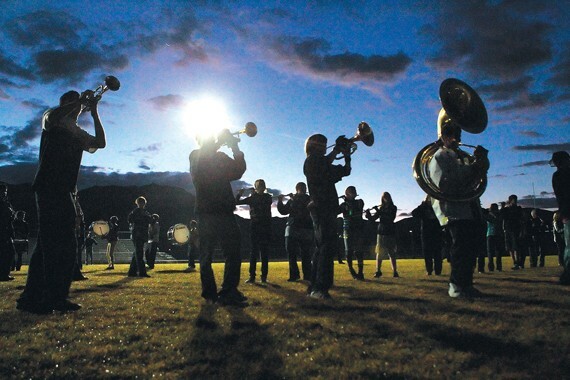 In February 2009, the Stansbury High School Community Council and the SHS Band Boosters petitioned the county to make a change in the noise ordinances to allow for early practice. 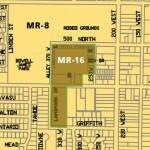 The request was withdrawn in March 2009 after the school reached a compromise with its neighbors. The band agreed to practice inside the school until 7 a.m. and then go onto the football field. The band class was moved to first period, which allowed the band to continue marching through the first class period every other day. But that isn’t enough time, according to Parks. That extra hour of practice would make a big difference, according to Ian Memmott, an SHS student who is part of the drum line. Stansbury residents like Jack Guthrie opposed the change at the public haring. The PTA at neighboring Rose Springs Elementary School has taken an official position opposing the change in the county noise and light ordinances to allow for early band practice, according to Tim Zeidner, a board member of the Rose Springs PTA. Zeidner cited several studies on sleep that linked the lack of sleep and the interruption of sleep with decreased academic performance, a shortened life span, difficulty in concentration, and the inability to function optimally. The Tooele County School District remains neutral on the time change, according to Superintendent Terry Linares. 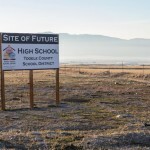 Among the emails sent to Tooele County in support of the change was an email from Scott Bryan, a parent of a Stansbury High School student who is also the president of the Tooele County School Board. David Blanchard, SHS marching band director, testified that the options available to the band are very limited. After school the fields at the school are used by other groups and transporting the band to another location would include the cost of two buses and van with a trailer, Blanchard said. After hearing from the public the planning commission held a brief discussion. The Tooele County Planning Commission voted 4-2 to recommend that the Tooele County Commission deny the request to change the county ordinance. A similar public hearing on the ordinance change was held on Feb. 2 by the Pine Canyon Planning Commission, which also voted 4-2 to not recommend the change. The Erda Township Planning Commission will hold a public hearing on the proposed change on Feb. 8 at 7 p.m. at the Tooele County Building. The Tooele County Commission will then make a final decision on the proposed change at one of their meetings after Feb. 8.